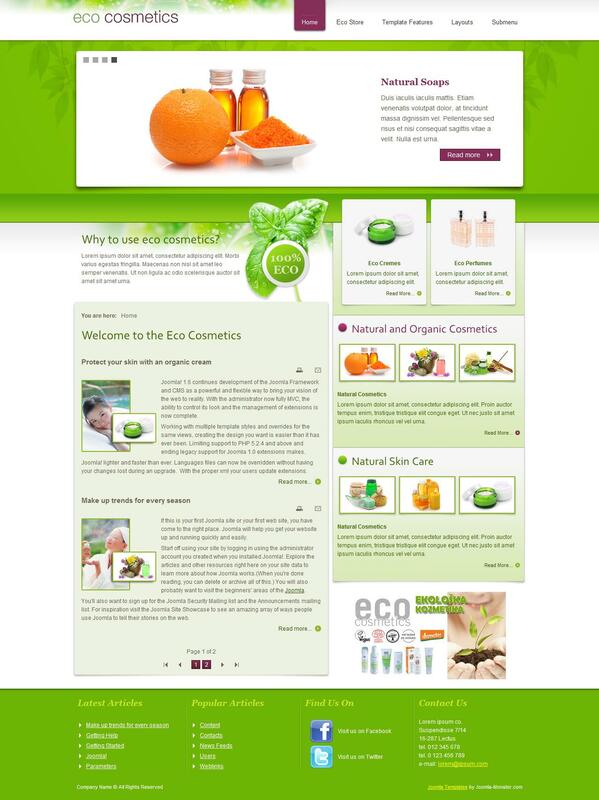 JM Eco Cosmetics Store - popular Joomla template to see web developers Joomla-Monster. This joomla template designed for sites running on the popular CMS Joomla 2.5x. JM Eco Cosmetics Store, you can use as a template to create online shops as fully compatible with the functional component VirtueMart. There is one color scheme and template styles seven modules, as well as a special modular design. The content can be shown in many ways, thanks to extensions: DJ-Image Slider and DJ-Catalog2.